Anyone who has operated in an industry that has various forms of project management within it (which would be virtually ALL! ), can certainly attest to the following fact: not all project managers are created equal. Like any other job, project managers are people. And in that sense, they carry some of the same potential flaws that exist within all of us. They also come from varied backgrounds and experience levels which can lead to just as many varied project management styles. While project management is meant to be a more ‘generic’ and portable profession, it stands to reason that certain ways of doing things in one area of business may not always be as portable (or even well received) in other areas. What is most paramount from the standpoint of being a ‘good’ project manager can probably be summarized by the following two key attributes: efficiency and adaptability. 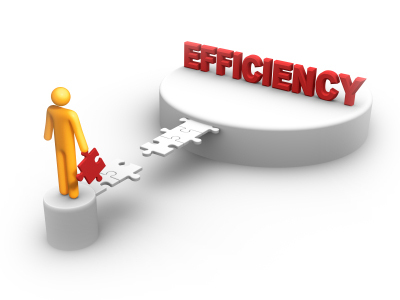 Being ‘efficient’ means spending your time in the most effective manner, minimizing work overload while maximizing work output. Being adaptable means not entering into every scenario with the same exact frameworks or preconceived notions. That means being receptive to varying company or team processes and cultures and working to achieve the same goals utilizing different tools and techniques in your arsenal as needed. As a project manager, it is imperative that you maintain open and consistent communication channels with not only the project team, but the key stakeholders as well. Ensuring that they are kept in the loop pertaining to key updates and any potential changes to the project’s timeline or scope attributes is extremely crucial. Always make yourself available for questions or discussions pertaining to relevant project topics and provide responses in a timely manner. Often times, project managers may have complacency set in. And as such, they spend less time on engagement or direct line communications, often relegating themselves to infrequent and inconsistent email updates on a project. Unfortunately, once the project manager becomes complacent, the stakeholders may also become disinterested in the project itself. Which could lead to situations where resources are pulled off your project and placed into other more ‘deserving’ or ‘active’ projects. As such, avoid project complacency at all times and try to be as consistent with your status updates as possible. Maintain regular meetings even in situations where status may be sparse or the project is in a slow phase. Every project will have specific KPIs (Key Performance Indicators) and various metrics associated with it. The type and nature of these metrics can be varied. Regardless, it is extremely crucial that the project manager stay on top of key project attributes. As mentioned in the previous paragraph, complacency can easily set in, especially if a project appears to be moving along smoothly. Project managers will often get into a complacency trap and begin to become a little more lackadaisical when it comes to monitoring their project. And its in these circumstances where unexpected problems arise that could (and should) have been spotted and dealt with earlier. The most efficient way to ensure project health is to set up your key metrics monitoring and display mechanisms at the project’s outset. If this is done properly from the get go, there will be a much higher likelihood that any issues that arise will be easily spotted. One solid way of achieving this is to set up a project dashboard that monitors specific KPIs and has alerts in place for when things begin to move out of range. If one conducts a survey of various individuals within a corporation or any similar entity and polls them to state a key frustration point they have to contend with, one will invariably discover that ‘micro management’ will often exist high on that list. Anyone responsible for a group of people or a project with resources has an almost maternal imperative that kicks in. And this imperative will often lead to situations of scrutiny and ‘looking over the shoulder’ of specific individuals to see how they are progressing. Now as indicated earlier, not all project managers are created equal. And it stands to reason that not all resources are created equally either. Some are diligent and provide status in a timely manner, while others require repeated ‘gentle’ reminders. The problem that can manifest is that the project manager, in attempting to deal with those that may need more observation than others will often treat the entire project team with a broad brush, effectively micromanaging the team as a whole. And this can lead to situations that lead to repeated instances of ‘nagging’ directed at not only those that may need it, but at everyone as a whole. And what this often does is foster a scenario of distrust, stemming from frustration from those individuals that feel they are being unnecessarily targeted when they are in fact, not the offenders. However, regardless of the circumstance, micromanagement is a bad idea across the board. It will lead to feelings of distrust between the project manager and the project team and will reduce the likelihood of team cohesiveness. The best way to approach this problem is to recognize that if one is resorting to micromanagement, this is a management failure, not a resource failure. Don’t panic – If you start showing cracks in your armor when a problem manifests itself with the project, that distress will quickly spread like a virus. Regardless of how dire things appear, maintain your composure and show leadership. If you stay calm, the members of the project team will likely do so as well. Don’t flip out – If a resource working on your project performs a mistake, regardless of circumstance, it is of utmost important that the project manager does not show anger or contempt for that individual. Rather than focusing on the ‘who did this?’ pertaining to the problem, focus on the ‘how do we fix it?’. Problems and mistakes happen, and people who perform these mistakes often feel bad enough as it is. At those points, they need understanding and reassurance, not rage or condemnation. Don’t take things personally – On occasion, a situation may arise where someone (or something) causes you distress. Sometimes its someone making a comment about the way things are progressing or how you are handling the project, or sometimes its a shift in company direction. Whatever the case, remember: it’s just a job. It’s nothing personal. Do not take umbrage in situations where you think your feelings or reputation may have been hurt, especially in cases where someone is offering you a suggestion or providing constructive criticism. It is not easy being told something you are doing may not be working, but in most cases, the individual is actually trying to be helpful. Irrespective of all else, recognize that you are not infallible and there may be cases where you can improve. So use those pieces of feedback or situations as a learning experience, not interpreted as a personal attack. There exists numerous (too many to count really) technological resources at your disposal. Computer software, online forums and blogs, collaborative groups, and so forth. Use all these in your arsenal. Anything that can be done to reduce the overhead of your day-to-day tasks and make your own work environment easier to maintain should be utilized. Many project managers will fall into antiquated and often inefficient ways of doing things. Even in cases where they are using modern software, they are not always familiar enough with all its capabilities to realize how to improve upon their own efficiencies. If you are using software to your advantage, ensure you are as well versed in it as you possibly can be. Take additional learning annex courses for those software solutions or perform self-study as needed. You may be surprised to discover a few techniques and tools within these software packages will make your life suddenly a lot easier.